Happy Thanksgiving on a day when workers should choose whether they must work. 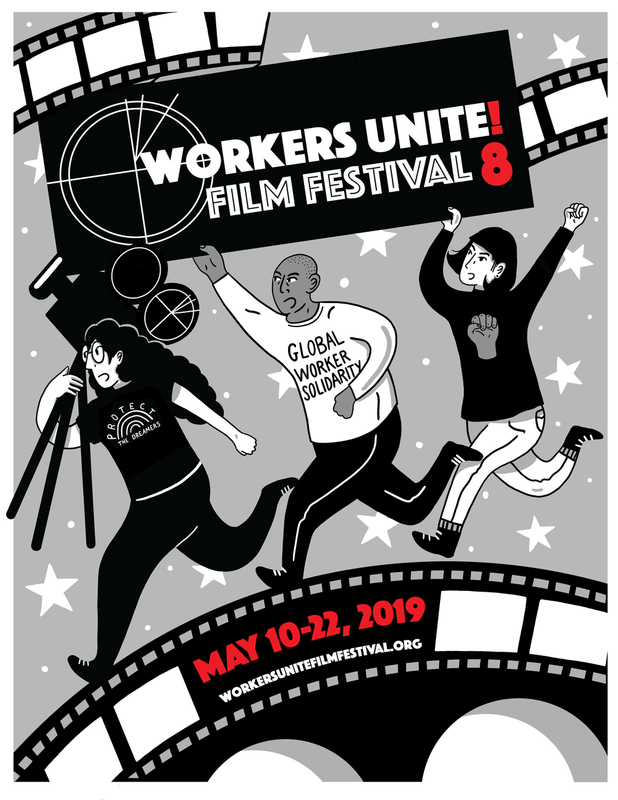 As we gear up for another fantastic season of Workers Unite Film Festival, I just thought it was appropriate to not only wish all workers and their families a peaceful and restful day with their families, but to talk for a moment at America's descent into mad capitalist overkill. I apologize for my absence from this blog, there have been many issues I wanted to comment on, but I was forced by a nasty bout with pneumonia to lay really low for the past six weeks. I have seen the thrill of the new Affordable Care Act turn into a messy public relations nightmare for the President and the Democratic Party. I think that as workers come to see the value of the new health care plans and sing up in larger numbers, the ACA will come to benefit the Democrats and the President. But right now we must endure the mindless shrieking of the right-wing yahoos who never wanted working people and poor people to have health care at all. Anybody who still claims that our previous system of health care was "the best in the world," is simply a liar and not in their right mind, so it is pointless to argue or listen to them. Workers Unite Film Festival has always agreed with Senator Bernie Sanders (one of our heroes!) that the single payer option, or Medicare for All, would have been a much cleaner, simpler and easier to roll out plan. Of course, with the state of polarization in our Congress and the level of misinformation about a single payer plan, the President made a deal with the devil and no surprise, the private insurance companies are not making the details of the new plans quite as attractive as the administration might have hoped for. We hope things settle down and we hope to see millions of folks who never had access to health care, gain that access in the next few months. This young man worked without a problem for over ten years in this Indiana Pizza Hut. This year, whether due to the influence of striking fast food workers, or OUR Walmart strikers, he found his courage to speak up and told his superiors that he felt it was unfair to force people to work on a family holiday. He was promptly fired. So even in the case of a manager, a manager with a good employment record, owners are unwilling to even discuss any arguments to their absolute rule over workers lives, even poorly paid workers and even on major national family holidays. Of course this is why unions and workers uniting is so important. This how low we have now sunk in this country and we need to think long and hard about what kind of future we wish to have as workers and fellow human beings. If all the holidays are about is such rampant consumerism that people are happy to beat each other's brains out over a 6AM doorbuster electronics deal, than we have seriously gone of our track as evolving human beings. This is not only about dignity for workers and fair and honest dealings for all employees, this goes to the core of how we want to see ourselves five, ten twenty years down the road. The current movements by the Food Chain Alliance with fast food workers to get a higher minimum wage and groups fighting back at Walmart and Target are important not only for the dignity and fight for fair wages at these establishments, but are heroic efforts by workers to talk about the race to the bottom being forced on all of us by greedy and thoughtless 1%ers here at home. These same struggles for fair wages and workplace dignity also ripple out across the world, to the collapsed and fire-ravaged factories in Bangladesh and to all workers oppressed by the endless quest for more profits by corporate behemoths at the expense of decent lives for the 99% of the rest of us. So please, before your rush out on the Friday after Thanksgiving, think about what choices you have for that day. Think about whether you will participate in the increasing distortion of our lives by those who see us only us dollar bills waiting to flow into their bank accounts. You do have a choice. You can join Walmart or Target workers who are bravely fighting back against a corporation whose family executive board controls more wealth in this country than the bottom 42% of the whole US population. The US Federal Appeals Court just ruled that Walmart's efforts to fire workers who speak up for their rights on the job is illegal and Unamerican. We are not talking about a radical group saying this. We all know this shift towards abusing workers on holidays, abusing workers at all, is wrong. 60% of the American public thinks the whole concept of "Balck Friday" stinks. I hope you do too. I hope you join a demonstration this Friday - they are all over the country, check them out online at www.ourwalmart.org. At the very least, stay home after the big family meal, if you are lucky enough to share it together. Stay home and share some quiet family times with the different generations and friends that come together to celebrate this day as family time, loving time - a time completely separate from the dog eat dog mentality that the corporate 1% keeps trying to shove down all of our throats, as if this the only choice we have left. I assure you, it is not. The battle for our humanity is far from over. Have a safe and peaceful Thanksgiving! More on our amazing plans for Workers Unite Film Festival 2014 next week.